The Notch is the current trend, and whether you like it or not, the OnePlus 6 embraces the Notch. That being said, it also allows you to customize whether you’d like to display the notch or not. 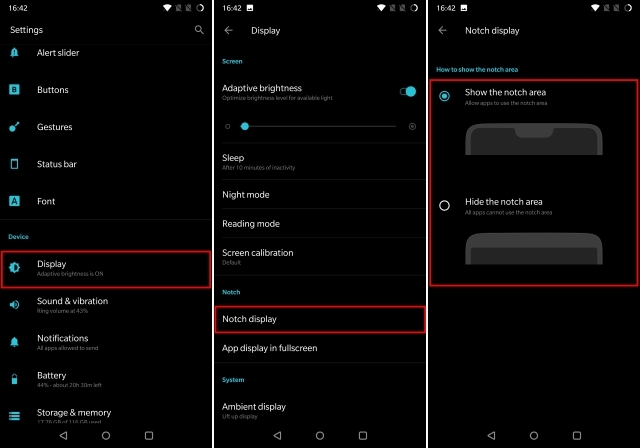 Well, if you’re someone who wants to disable the notch, simply head over Settings -> Display -> Notch display. You can now choose to enable or disable the notch based on your preferences. 1. First off, head over to Settings -> Buttons -> Navigation bar & gestures. 2. 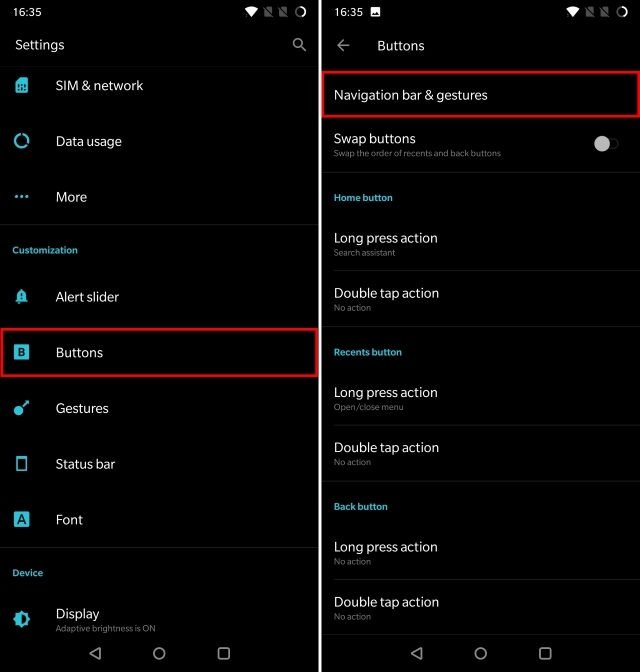 Now, tap on “Navigation gestures”. Swipe up from the center of the screen to go home. Swipe up from the center of the screen and hold for recent apps. Swipe up from the left or right edge of the screen to go back. The OnePlus 6 comes with OxygenOS that supports multiple gestures for your device. Simply head over to Settings -> Gestures, and you have a plethora of gestures at your disposal. 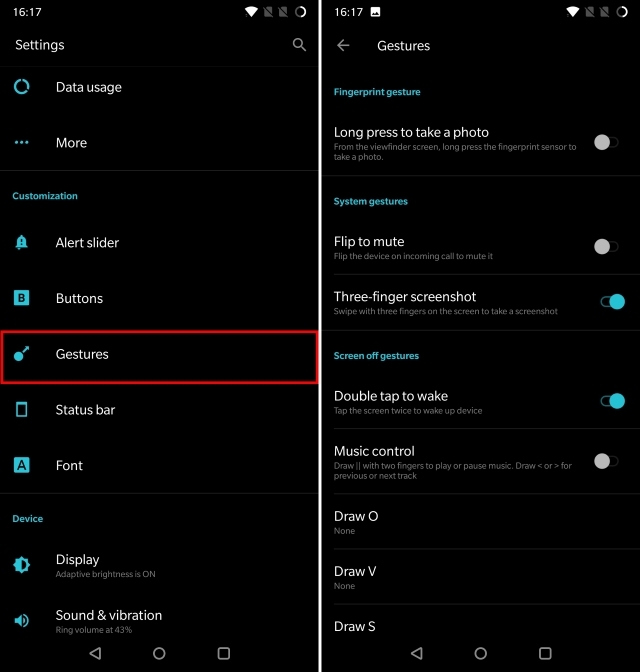 You can use this settings page to enable three-finger screenshot as well as long pressing the fingerprint sensor to capture an image. 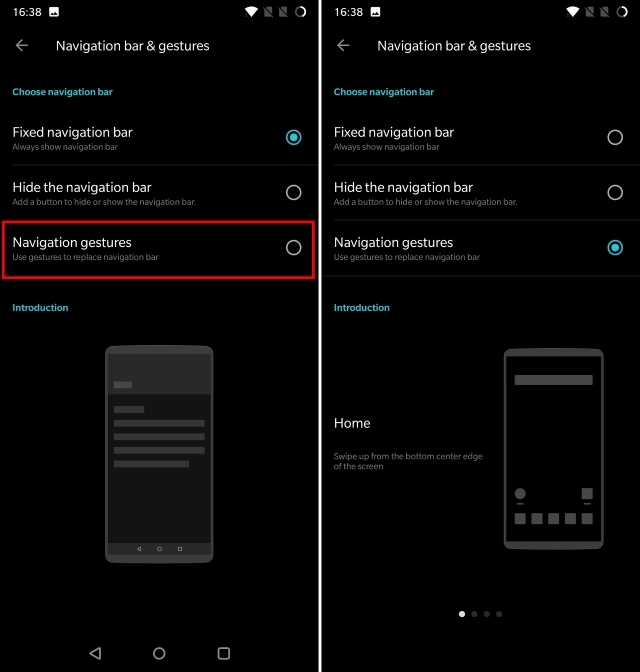 Additionally, the OnePlus 6 also support Double Tap to Wake, along with the ability to draw certain alphabets on the lock screen to launch specific applications. Pretty cool, don’t you think? 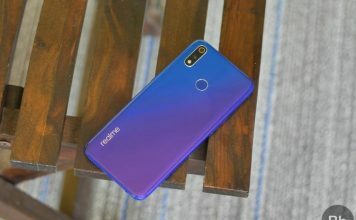 Another marquee feature of the OnePlus 6 is that it comes with the ability to record extremely great Slow Motion videos. With the OnePlus 6, you can record slow-motion videos in [email protected] or [email protected] To do so, open the Camera app and swipe up from the bottom. 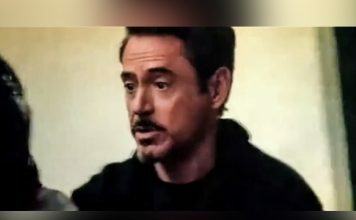 Now tap on the “Slow motion” to record videos in slow motion. The Portrait Mode on the OnePlus 6 is pretty darn good, without a doubt. But what’s amazing is how the device gives you the ability to customize the Bokeh shapes as well. Yes, that’s right. 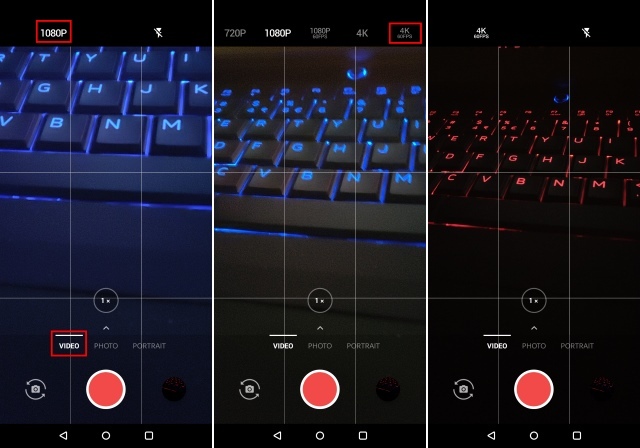 Using the OnePlus 6, you can customize the shape of the light objects getting blurred in the background. First off, open the Camera app and select the Portrait mode, and then tap on the Bokeh icon in the top-right as shown in the image. And that’s it, you will now get the option to transform the light objects into circles, hearts, and stars. One of the major additions with the OnePlus 6 is the improvements brought over to the Gaming Mode. 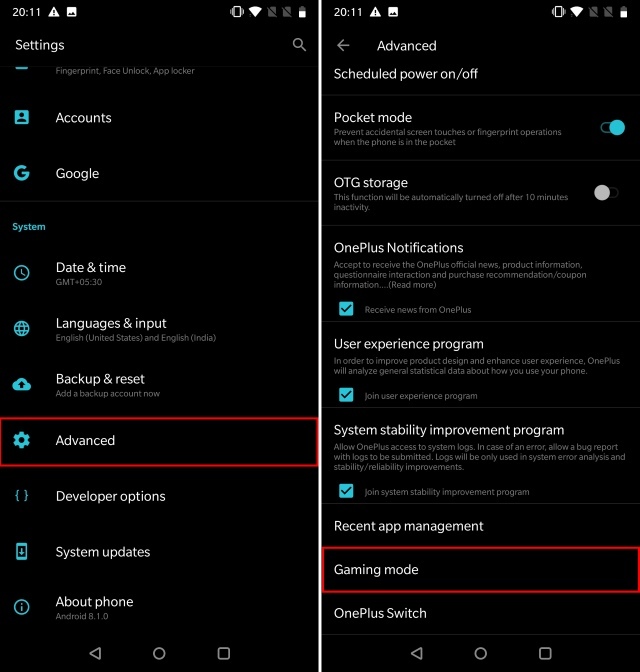 The Gaming Mode is essentially OnePlus’ innovative game launcher that basically frees up the RAM on your device to ensure that your games run faster. Additionally, the Gaming Mode can also provide a Network Boost to your games, thus reducing the ping while gaming online with your friends. 1. To enable this feature, head over to Settings -> Advanced -> Gaming Mode. 2. 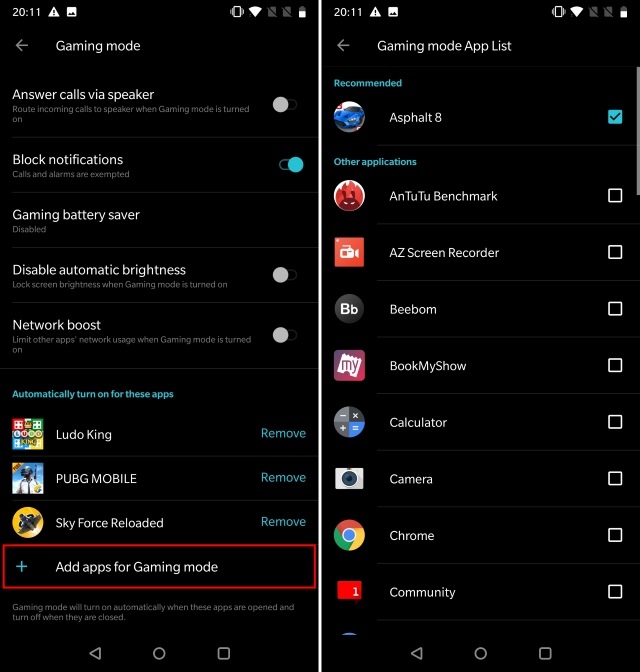 Now, tap on “Add apps for Gaming mode”. You can now simply select the games you want to enable the Gaming Mode for. 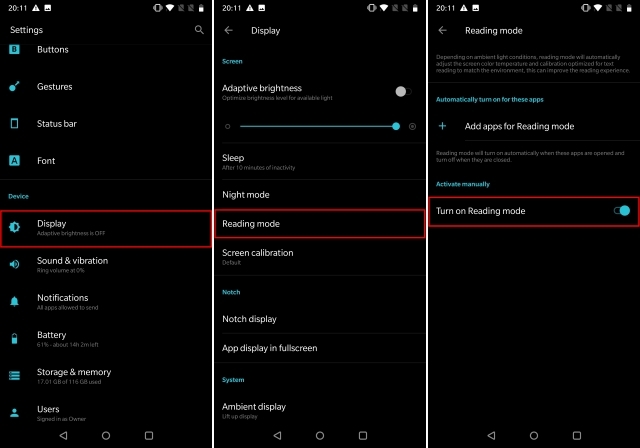 While there is already a Night Mode on the OnePlus 6 for using your device at night, the company has also included a Reading Mode option for those of you who like to read books on their mobile device. 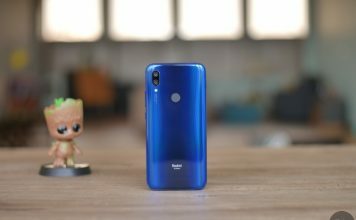 Basically, it adjusts the screen color temperature and calibrates it for text reading to match the environment, by making use of the ambient light conditions. 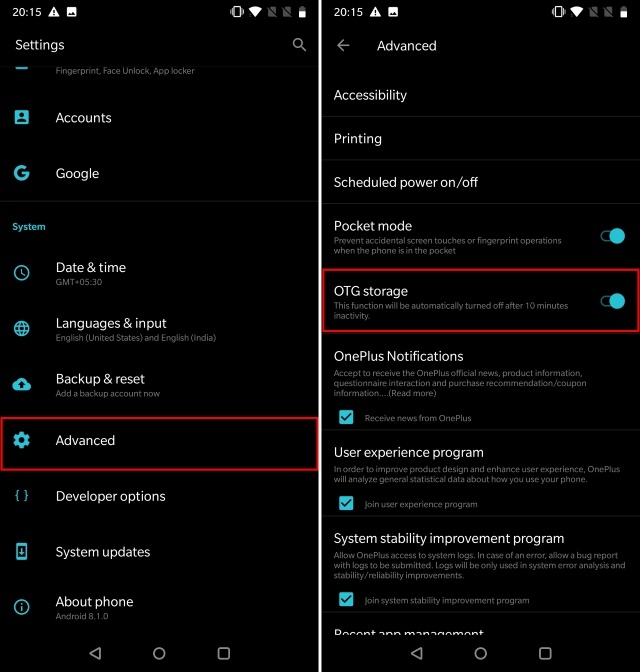 To enable Reading Mode on your OnePlus device, head over to Settings -> Display -> Reading Mode, and enable the toggle next to “Turn on Reading mode”. Additionally, you can also add specific apps for which the Reading mode will automatically be enabled. Privacy is one thing that we’re all concerned about. 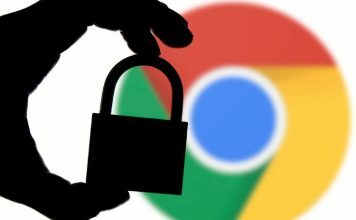 I know a ton of users out there who download specific app lockers from the Play Store to better protect their apps. But what if I told you that OnePlus has provided a proprietary method for it? 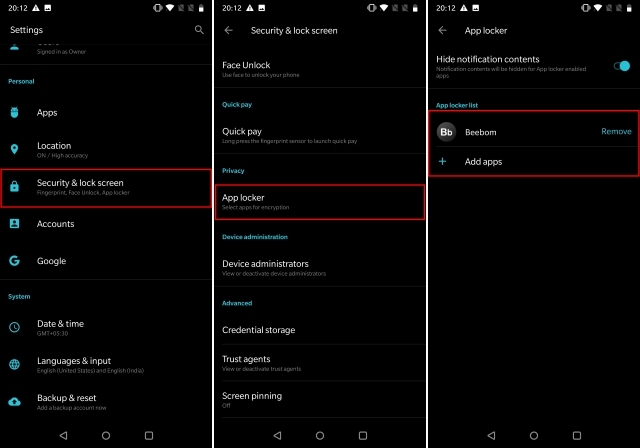 Yes, that’s right, the OxygenOS on the OnePlus 6 comes with an App Locker feature included. Simply head over to Settings -> Security & lock screen -> App Locker. Here, you can add the apps you want to lock. If you already have a lock method (PIN, Password, or Pattern) set up, the App Locker will use the same to lock your apps. Otherwise, the App Locker will prompt you to set a specific password for your locked apps. I know some of you really fancy that network speed meter in the status bar that is shown on Xiaomi devices running MIUI. Heck, we even wrote an article for you guys on how to show network activity in the status bar on any Android device. But while that uses a third-party application, OnePlus’ OxygenOS comes with the feature inbuilt. Yes, that’s right. 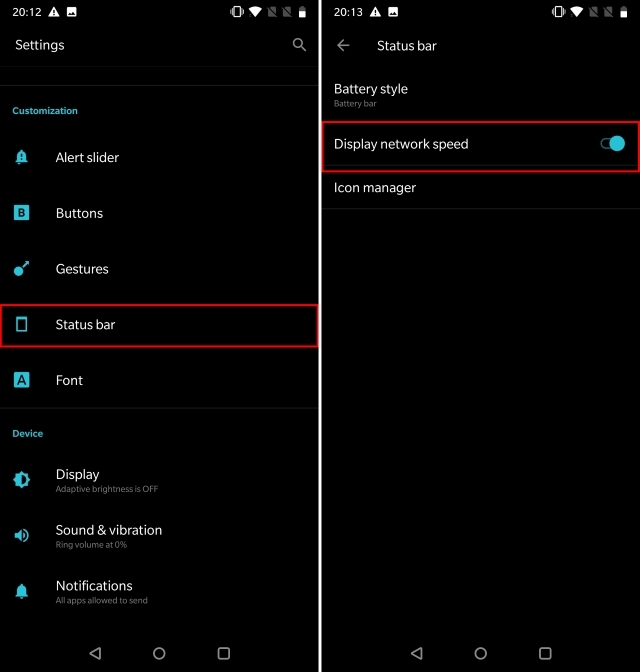 Simply head over to Settings -> Status bar, and enable the toggle next to “Display network speed”. OnePlus 6 comes in storage options of 64GB and 128GB, with the 256GB variant reserved for the Avengers Special Edition. 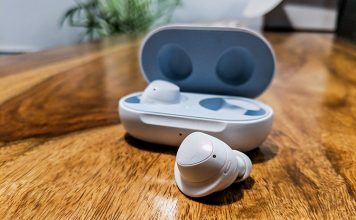 Sadly though, it does not come with support for microSD cards, which is a bummer for those of you wanting to expand storage easily. That being said, it does come with the next best thing, and that is support for USB OTG. Yes, that’s right, you can easily connect a USB pen drive to your OnePlus 6 via the USB Type-C port to access data and expand your storage on the go. However, you are required to enable this feature from the settings. To do so, go to Settings -> Advanced, and enable the toggle next to “OTG storage”. The OnePlus 6 features some of the best camera hardware available in the market right now. The phone also allows you to take full advantage of this hardware by offering you a full-fletched Pro Mode. You can use the camera to manually adjust the ISO, Shutter Rate, Aperture, and more. 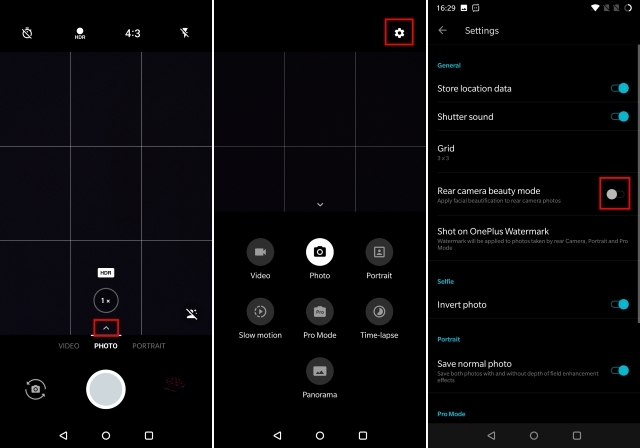 To enable the Pro Mode on your OnePlus 6, open the Camera app and swipe up from the bottom. 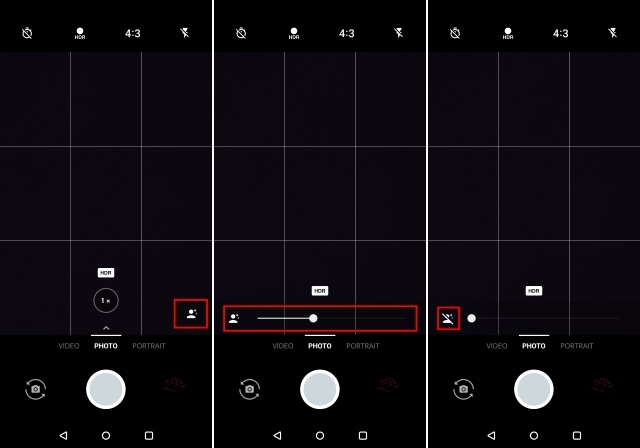 Now tap on the “Pro Mode” to access the manual controls for the camera. The OnePlus 6 comes with a Beauty Mode to make your face look better in the images it captures. However, not everybody is a fan of this feature. In order to disable the Beauty Mode, simply open the Camera app and tap on the Beauty Mode icon in the bottom-right. 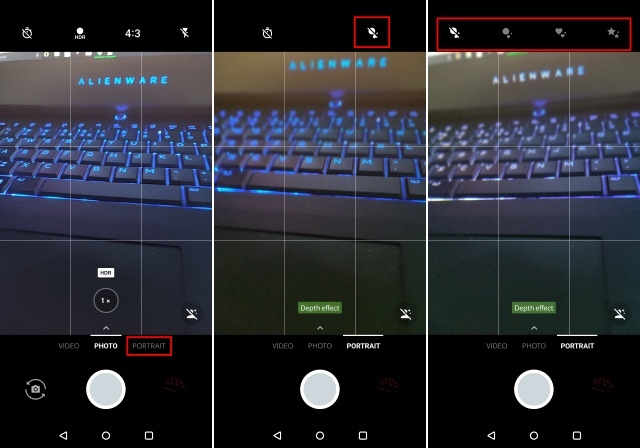 Just drag the slider to adjust the filters that the camera AI will add, or drag it to the extreme left to completely turn it off. Additionally, if you want, you can disable this feature altogether. 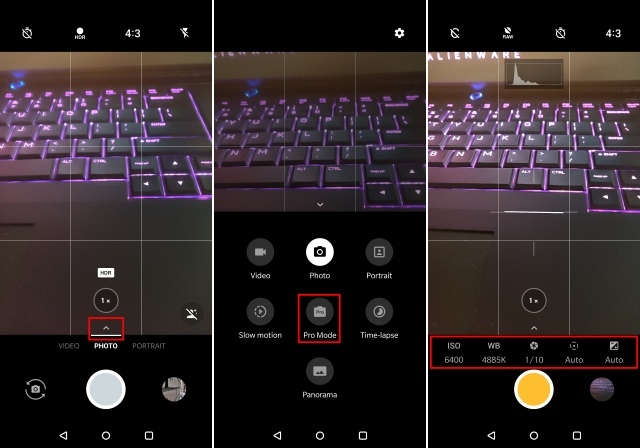 Just swipe up from the bottom in the camera app and tap on the Settings icon. Then, just disable the toggle next to “Rear camera beauty mode”. And that’s it. The beauty mode will not show up on your screen again. The OnePlus 6 comes with the ability to record videos in superb 4K resolution at a whopping 60 frames per second. As such, the results produced are great, and at par with most flagship devices out there. 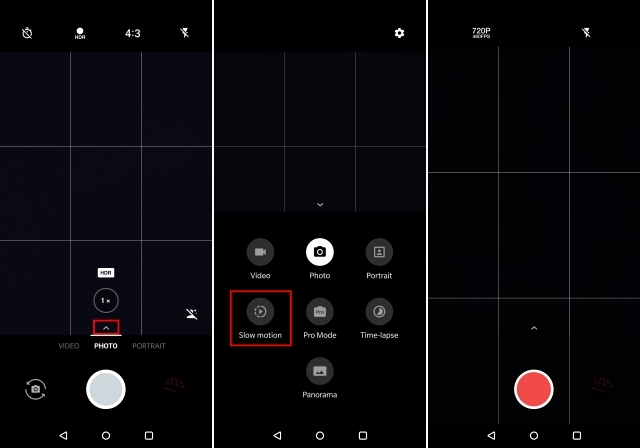 If you’re someone who shoots a lot of videos, and would like to record in [email protected] on your OnePlus 6, simply open the Camera app and switch to the Video mode. Next, tap on the resolution shown in the top-right corner, and select 4K 60FPS. That’s it. OxygenOS on the OnePlus 6 comes with a nifty trick to easily enter the payments screen of your preferred payment option. With Quick Pay enabled, all you have to do is hold your fingerprint on the fingerprint scanner and the phone will automatically open the payments app of your choice. To enable this feature, simply head over to Settings -> Security & lock screen -> Quick Pay, and enable the toggle next to “Screen off quick pay”. That’s it. 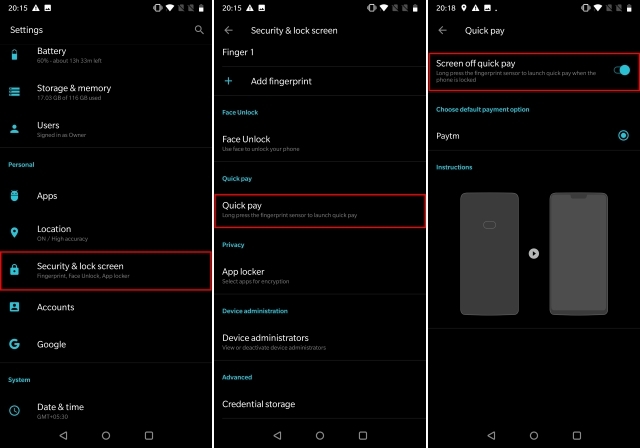 Quick Pay should now be enabled on your OnePlus 6 device. Do note that currently, the feature is only supported by WeChat, AliPay, and Paytm. The OnePlus 6 comes with a spectacular portrait mode for the rear camera. However, this feature is currently missing from the OnePlus 6. Nonetheless, the Chinese giant has assured that a future software update is supposed to add support for Portrait Mode on the front camera as well, so your selfies will look all the more popping. One of the best things about the OnePlus 6 is the fact that it is one of the few devices other than Google’s own to be compatible with the Android P Developer Preview 2. As such, you can install Android P on your OnePlus 6 device, and test out the latest and upcoming in the world of Android. And well, that’s pretty much it. After spending a lot of time with the OnePlus 6, I’ve curated the above list of tricks for your experience. I’m sure they’ll come in handy in getting a better overall experience from your device. However, do you feel we missed out an important feature, or is there a specific query that you have? Let us know in the comments below, and we’d be happy to help!